Not too long ago Capital One credit cards were generally accepted as not worth the hard credit pull. As of recently, they have put significant effort into improving the credit card benefits. They started off the year right by adding 10x bonus points on Hotels.com bookings and then revamping and the Capital One collections of cards. As of December you will be able to transfer 12 airline partners. Making their rewards card worth the hard credit pull. It’s great to see airlines stepping up their game. We know that the competition is always looking to one up each other. Just last week we saw American Express add Avianca LifeMiles to their portfolio. The Capital One Venture and the Capital One® Spark® Miles for Business earn 2X Venture miles on all purchases, effectively making both cards earn 1.5X airline miles per dollar spent. While the number of transfer partners is on par with other credit card companies that offer transferable points, the quality of transfer partners is limited with these initial 12 airlines. It is unknown how long the transfer process will take once initiated, but considering many of these airlines work with American Express which is mostly instant, the hope is that these miles will transfer instantly as well with Capital One. The best airline partners on this list are Air Canada Aeroplan, Cathay Pacific Asia Miles and Avianca LifeMiles. You should be able to find awards space with those airlines to anywhere in the world with a variety of their partners without having to pay huge surcharges. Be warned about Avianca LifeMiles though, their call center doesn’t have a great history when partner airlines have operational changes. The most interesting thing is that every airline on this list already has a credit card transfer partner with the exception of Finnair. Finnair doesn’t offer a ton of value, as one-way awards are significantly more than round trip costs. You can price out your journey with their online calculator here. Partner awards are also significantly more expensive than on Finnair metal and require a round trip booking. 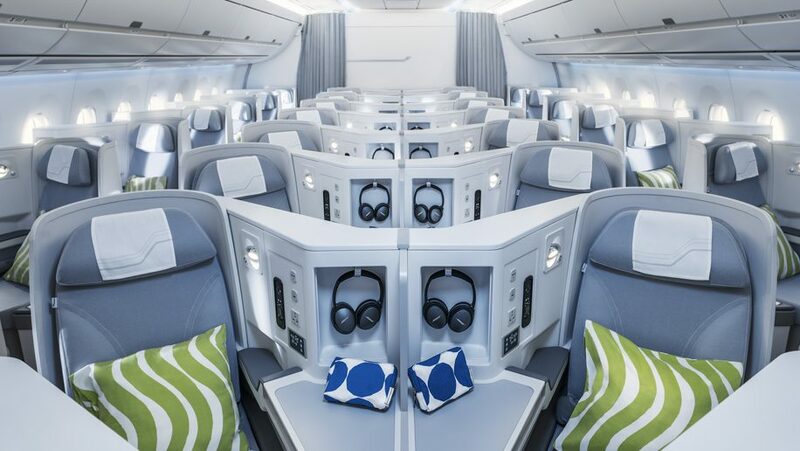 If you are able to find the space on Finnair’s own metal, spending 160,000 miles for a round trip business class ticket with a free stopover isn’t a terrible deal. While Capital One may only be playing catch up with its latest offerings. Their cards and new bonus’ are a great way to top your frequent flyer accounts. Will You Be Signing Up For A Capital One Card Now That They Have Transferable Points?